The teacher offers the lessons for free. 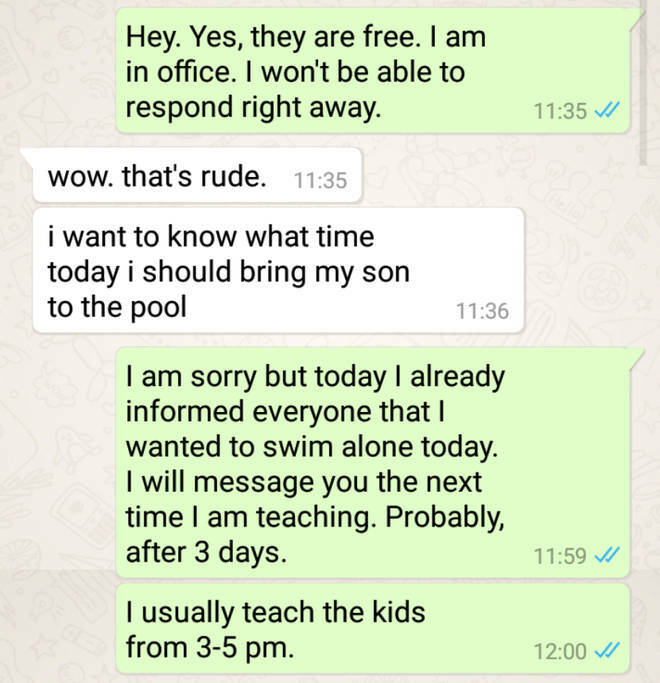 A mum has gone viral after she sent a string of demanding text messages to a swim coach. 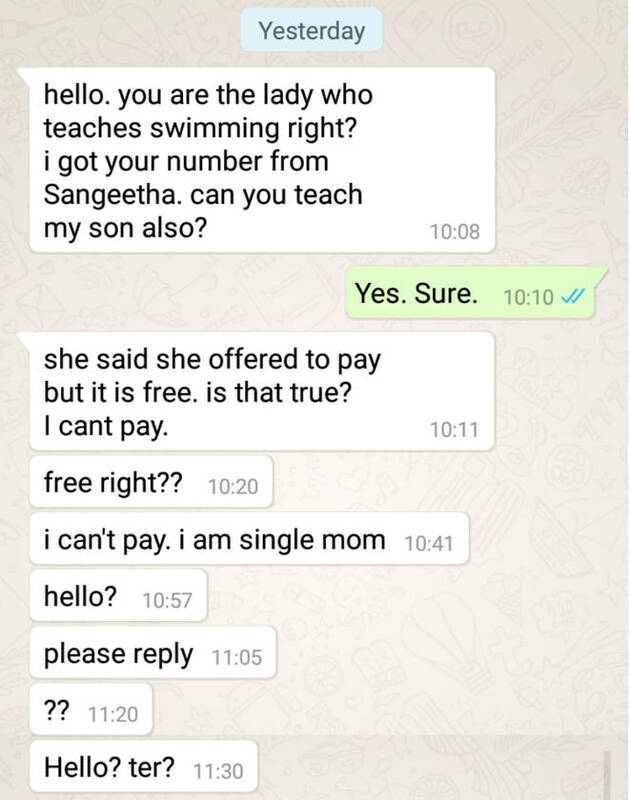 The teacher uploaded the exchange onto Reddit, where they explained that they had been offered money for the lessons in the past - although they continue to teach for free. 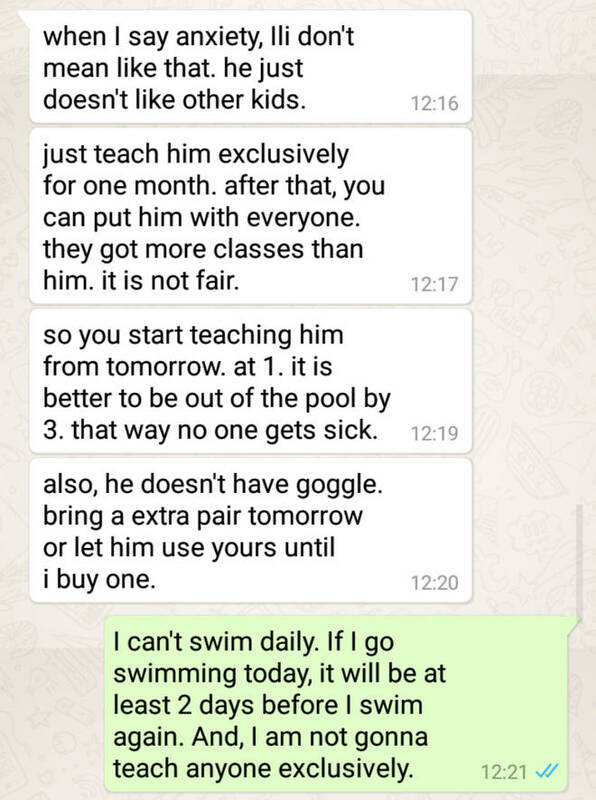 Not only did the mum demand exclusive lessons for her son, she wanted to the her to start charging other parents for the lessons - and give her the money as the teacher didn't need it. It all began when the woman got in touch to ask for lessons for her son, pushing for the teacher to answer (and not really giving her much time, in our opinions, to respond). 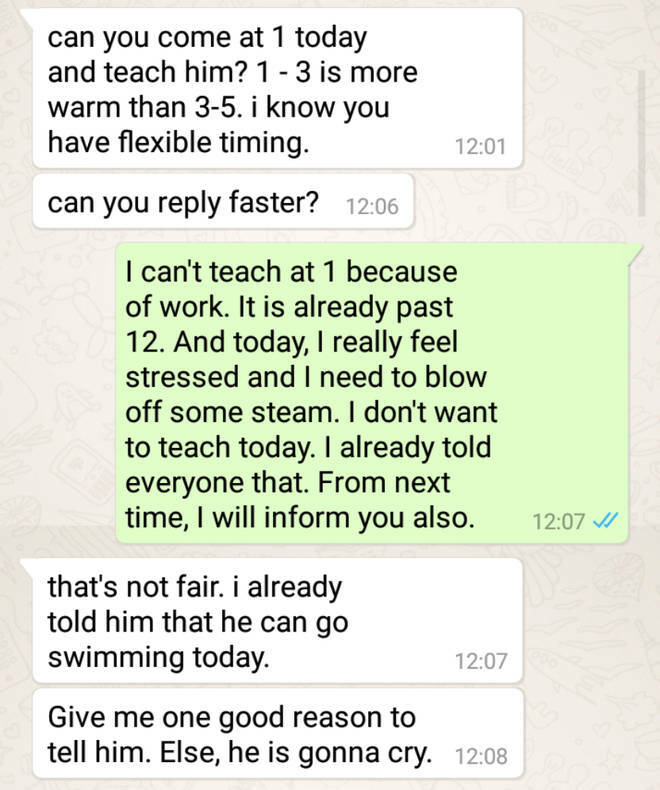 The teacher explained the she had already cancelled swim lessons for the day and wasn't up for teaching at the moment, anyways. However, that just led the woman to send her even more demanding messages. 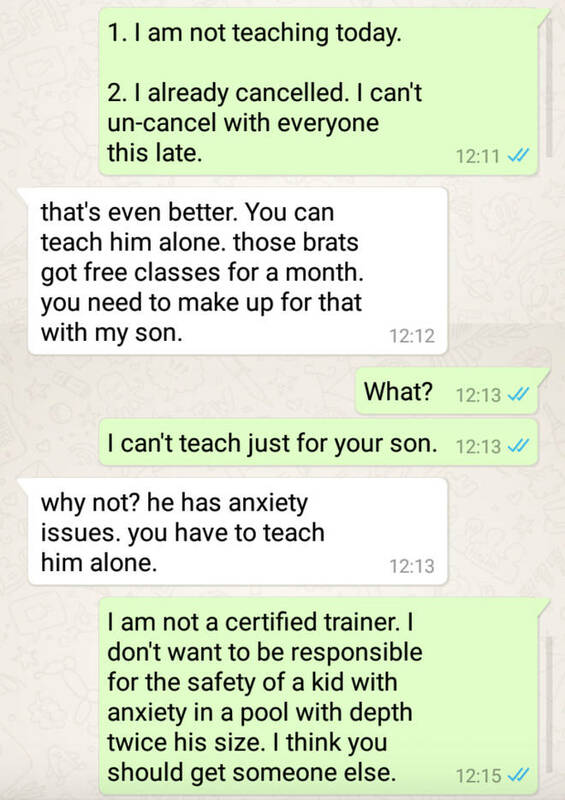 She continued to not take no for an answer, demanding the the little boy be taught on his own due to anxiety issues. At on point, the mum threatened that she was going to throw her son in the pool and blame the coach "if something happens to him." When the teacher, who repeatedly mentioned she was at work, failed to respond, the mum called her a "nasty, horrible person" - among many other terms. People took to the comments underneath the Reddit post to slam the mum for her "rude" behaviour, with one asking, "what is wrong with people that they think this is acceptable?" You can check out the full exchange here.